Providing High Quality Craftsmanship and Service. Having worked as a boatbuilder for the last 24 years around the world, I have gained a wide breadth of knowledge on all manner of fit out and repairs to boats of all sizes. We work alongside several other skilled companies to provide a one stop shop for all your boating needs. Operating from our workshop in Lymington Yacht Haven we repair and maintain a wide range of craft. From internal joinery, grp repairs, boat washing, antifouling and painting, hatch replacement, repairs to timber and grp yachts. Below are some photos of examples of our work, if there is something we can help you with please just give me a call, or drop me an email. 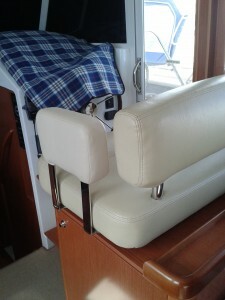 Making a helms seat a little more secure and comfortable, ideal for in big seas. 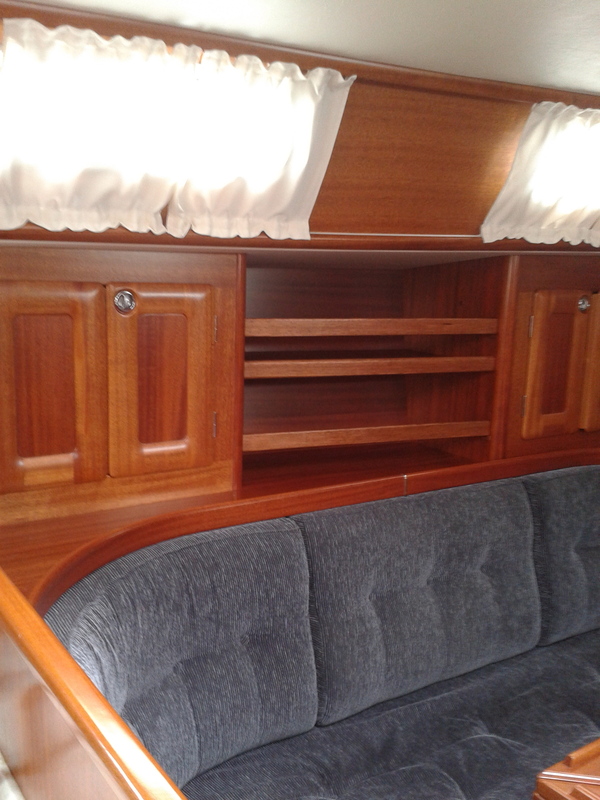 Interior shelves added for better stowage solutions, made using Mahogany, with lift out fiddles. Cooks Maritime Customer on Welcome!